Navigation: Home » Investing » Did Donald Trump Beat the S&P 500 With His Career Net Worth Increases? Did Donald Trump Beat the S&P 500 With His Career Net Worth Increases? Did Donald Trump beat the S&P 500 with his net worth increases over his career… or should he have invested in index funds? I’ll give a short answer, then back it up with a longer article: Trump’s net worth increases probably beat investing in the S&P 500, depending on where you start the counter. We’re capping results at September, 2015. 1988 – no… but why 1982 and 1988? Is it good to ask about Trump and the S&P 500? Should Donald Trump have invested in the S&P 500 back in 1974? This table shows what the growth of $40 million, $200 million, and $1 billion would look like, respectively, on the S&P 500 from the starting dates listed. I’m not sure why 1982 and 1988 are included in other articles as dates when Trump ‘should’ have switched to stocks. I have included them for completeness. 1982 estimates credit Trump with a personal net worth of $200 million, $160 million more than his share of the family business in 1974 would suggest. Further, the 1988 numbers from Forbes credit him as a billionaire with a cool, even billion. $40,000,000 in January 1974 into the S&P 500 would have left Trump at a ‘mere’ fraction of that, as a $130 millionaire in December 1988. Also – would you walk away after outperforming stocks like that to that point? Why Are Variations of This Question So Popular? Well, Mr. Trump is leading in the Republican Primary polls for the 2016 Presidential Election (Editor: and, of course, eventually won). 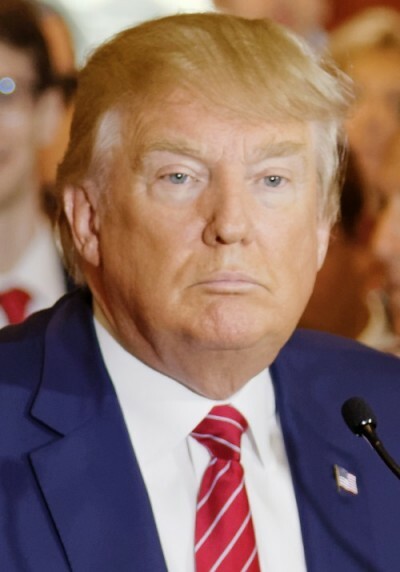 Mr. Trump is an entertainer and businessman who has a reputation based upon his success as a real estate developer. As for the S&P 500, it’s a convenient benchmark to use when comparing mostly passive investment returns to other methods of generating wealth. It’s inherently risky and volatile but usually positive, and has a decent amount of history to draw conclusions. S.V. Date, writing in the National Journal, reported back in the beginning of September that Donald Trump’s father’s firm was worth around $200 million in August 1974. Fred Trump had turned the reins of the firm over to young Donald, one of his five children, back in 1971. Doing some quick math, Date estimated that The Donald would be worth roughly $3,000,000,000 if he had simply invested his 1/5 share of the firm into the S&P 500, then sat back and reinvested dividends. Before that, (curiously removed from many sites! ), an Associated Press report estimated he’d have been worth north of $11 billion if he had taken his funds in 1988 and switched from Real Estate to S&P 500 investing. After Date’s article, a number of other writers tackled the question, and actually credited Don’t Quit Your Day Job‘s humble S&P 500 calculators – both our total return calculator and our periodic reinvestment calculator – for crunching the numbers. What Did You Find When You Looked Into Trump vs. the S&P 500? First – estimates of Mr. Trump’s net worth vary. You can read the full controversial history on Wikipedia, but Trump claims a $10 billion net worth while Forbes’ oft-cited Richest Billionaires List puts him (as of 10/1/2015) at $4.5 billion. Either number, of course, is well above the 1974 numbers: so the Trump Empire trumped the S&P 500 from at least that date. Picking 1988, as the AP pointed out, would leave Donald short using either his or Forbes’s estimate of Net Worth – while 1982, as Matthews noted, would split the two at around $6.3 billion using the default values in the reinvestment calculator. My problem with the estimates to this point? Tax rates. When I designed the calculator, I did a ton of research on marginal taxes for the median income earner. Furthermore, Trump resides in Manhattan – it’s no secret that New York City and State have the highest combined tax burden of any locality. So, I did some research and came up with some reasonable tax rate estimates for New York City over Trump’s career. Note: the far left column is what the tool provides by default when you load it. The far right column is my estimate for dividend taxes for a-Donald Trump-like-investor since 1974. These numbers are my estimates based on work from The Tax Foundation, Marilyn Marks Rubin for John Jay College, The Fiscal Policy Institute, and (perhaps hilariously) a 1995 New York Office of Tax Policy Analysis report to Governor George Pataki. Verify them yourself if you wish to cite them elsewhere. Are your numbers Trump’s historical marginal rates? These numbers should be close to the maximums possible, but I’m not a tax historian. I attempted to back out the marginal tax rate in the state from the federal rate due to deductions, but tax law is insanely complex so take everything with a grain of salt. I also did not try to factor in the Alternative Minimum Tax. With those numbers, I reran the Donald Trump Math for various scenarios. The numbers below are after dividend taxes but before selling, so there would be capital gains taxes as well. (Yes, there would be capital gains taxes with his current holdings and business too, I’m just anticipating your question). Is the S&P 500 the Right Benchmark for Trump? Maybe you don’t like the golf courses, the resorts, the skyscrapers, and the naming schemes The Trump Organization provides the world. Maybe you don’t like the fact that 4 businesses associated with Trump have declared bankruptcy. Maybe, even, you don’t like the man himself(!). However, you’ve got to harbor some grudging respect for the empire – instead of mailing a check to a mutual fund, he grew his father’s business into an even larger business. That $40,000,000 represents, then, 200,000 trades – or about thirty six seconds worth of volume. There is no argument where adding $40 million to an already huge ETF or mutual fund or even turning a $165 billion fund into a $175 billion fund would have the impact, for better or worse, that The Trump Organization has. Nor do index investors often run for President on the strength of their mutual fund returns! So, Did Donald Trump Beat the S&P? Yes, if you look at the totality of Donald Trump’s career, he defeated the S&P 500. Especially with the onerous tax burden present in the 70s and 80s, Trump’s performance is very impressive. And no, he wouldn’t have been able to pump a 401(k) and IRA like Mitt Romney). For a few dates along the way Trump might have trailed the S&P 500. He didn’t generate alpha every year… but then neither did Warren Buffett. However, considering his rise from $40,000,000 to the three comma club by 1988, it would have been quite weird for him to suddenly ditch real estate to invest in mutual funds! So, my point remains – the S&P 500 itself might have competed favorably with Trump’s rise in net worth. However, once you throw taxes, management fees, and the sheer impact of Trump’s companies and business dealings (not to mention the springboard to run for President), there is no reasonable argument that Trump picked the wrong path. I googled “donald trump 1988” to see if I could find any significance to that year. In 1998 he apparently hinted at a presidential ambition on Oprah show. He also passed on a chance to buy the Patriots that year. Pretty sure that 1988 was only picked because it was the start of a 12 year bull run to make stocks look that much better (after the bad Fall 1987). In short, it’s cherry picking a time frame to bias towards a result. 1. Trump wouldn’t have paid personal income tax on his business’ income but corporate taxes. Could be higher or lower but they will be different. A lot would have been kept offshore in shelters as well, it is only recently that this has become more difficult to do. I think your tax rates are not really applicable. 2. Your S&P calculator returns very different numbers than you show on this page. From January 1982 to September 2015 your calculator shows a 1557% return with no divided reinvestment and a 3783% return with dividend reinvestment. However your $4.5 billion result indicates a 2425% return on a $200 million initial investment. Your numbers for 1974 and 1988 are also off from the calculator results. Overall I think the key take away from this is that if you have a huge amount of money to start with you can make a huge amount more without having to do much except invest in an index fund and wait. I don’t think number one is an issue – the comparison folks have pointed out is if he took the money and put it in an ETF or a mutual fund, as if there was some Vanguard option or something he could have used. Perhaps he could have incorporated an investment vehicle, but typically your investment funds are taxed at personal rates. Romney was the exception because so much money is in his IRA (which means we can ignore the drag of taxes). I’m pretty sure 1982 comes up because it’s the first year Forbes published the Forbes 400 list, so it’s earliest you can go back using that as a source for both the beginning and the end point. Thanks! That theory makes a ton of sense – I’ll edit the article with a note. One factor to consider: Expenses. Do your calculations take into account his living expenses and lifestyle? Or, are you assuming that he wouldn’t have spent a dime since 1974. Considering his jets, houses, how many people he employs etc to spend what he does AND still be worth $10 Billion, is very impressive.